The fear of ghosts has always been the part of human history. It has it's impact on people even in this modern era. 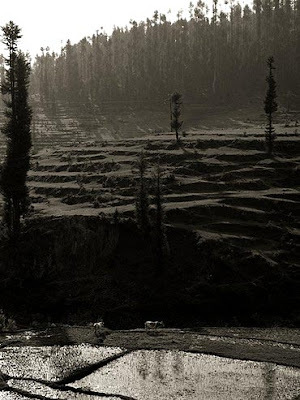 Here's the list of ghost places found in one of the most diverse country, India. 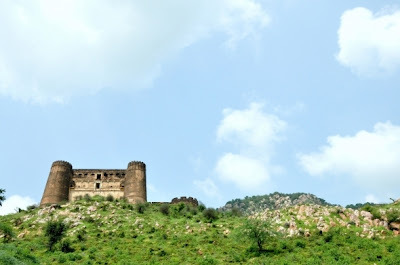 In 17th century, Madho Singh built his capital in bhangarh with the sanction of an ascetic Baba Balanath, who used to meditate on that place. He predicted that : "Look my dear chap! The moment the shadow of your palace touches me, you are undone. The city shall be no more!" In ignorance he raised the top of that palace to a height that the shadow reached the Baba Balanath's place. After this, all the town inhabitants died and the prediction — that none of the houses would have roofs over them became true. You can see that none of the ancient houses had roofs other than the temples. People say that nobody returned who stayed there after dark. 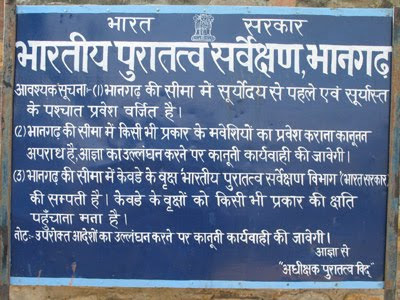 Near all ancient monuments in India there is an office of Archaeology Survey of India but even Government authorities have not opened an office near it due to the ghost place and their office is about one kilometer away from the ruins of Bhangarh. And the sign board says "Staying after sunset is strictly prohibited in this area." 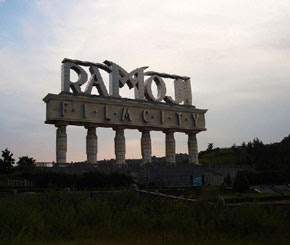 People say that the film city is built on war grounds of the Nizam sultans and so the ghost of nizams haunts the hotel rooms. The food that is left in the rooms gets scattered and strange marks are left upon the mirror in some urdu like script. Women are more troubled by the ghosts of dead soldiers more than the mens. They trouble the girls even more, they tear their clothes, knock on the bathroom doors while the outside doors are locked. During the rule of Britishers, a Lady named Orme was poisoned and died there, so she is still seen roaming in the corridors of the hotel. 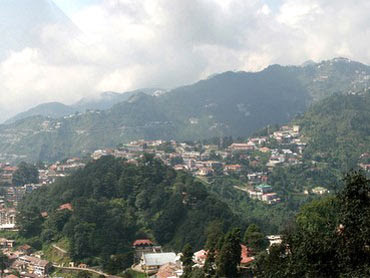 "Several people have been killed in Mussoorie's Hotel Savoy and it is believed that the hotel is haunted. 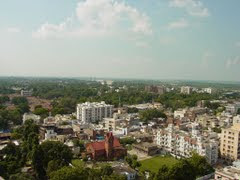 However, the locals there believe that some super natural power is behind this"
There is a graveyard of British Millitants in Civil Lines area of kanpur where a Sarkata (a hindi word for someone who don't have a head) lives. It is seen by many people in Civil Lines area drinking water from tap near by mostly at nights. It is very difficult to enter in the graveyard at night as one will be scared by its wierd sounds. 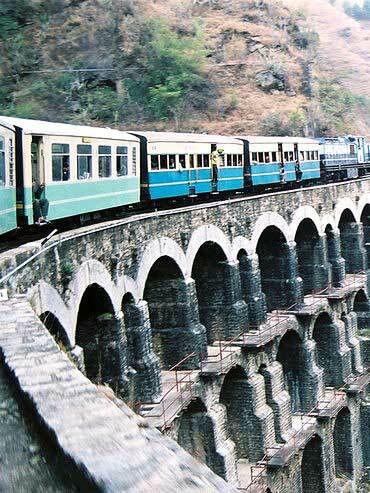 A tunnel is said to have the ghost of a British sahib in Shimla Kalka Indian railway Line. The ghost in tunnel 103 is reported to talk back in full context with the humans beings. The tunnel which is 140 yards long itself looks quite a scary place. Lohaghat is a small town in the Champawat district. There is a very old bungalow there known as The Abbey which belonged to the person who founded the Lohaghat. Some some years, the Abbey was converted into a hospital which saw some strange happenings like that of a doctor who would predict people's death very accurately. He moved the patients to the place called Mukti Kothri and the very next morning they would be found dead. There was a quandary about whether he himself was killing the people or they were dying naturally. It is the place in Gujrat where hindu's burn their dead bodies. 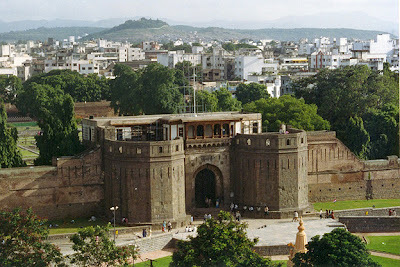 This area in india has been reported by many peoples a number of times for its ghostly atmosphere. 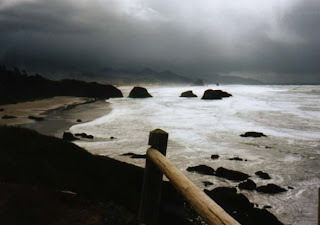 People have experiences with hearing strange sounds on the beach. The area is said to be full of spirits of dead people. When the peshwa's ruled western Indian province, Narayan the heir of the peshwa kingdom was assassinated on his uncle's wife’s orders. It is said that while running for his life across the fort, he called “Uncle save me”, and even today locals say that they hear his cries for help near midnights on new moon day. 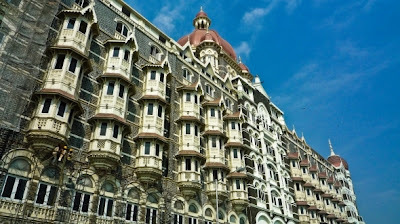 This top Taj Hotel of India is said to be haunted by the ghost of it's own french architect W.A Chambers. He created the blueprints of the place and went on a trip to france in 1903. When he returned, he was very shocked to find that the hotel frontage had been made in the opposite direction and committed suicide. OMG ... how scary..
Sanjay Van is a big ( around10 km ) forest area in new delhi whch is reported to be haunted. Many visitors have reported seeing a lady in the cremation ground dressed in a white saaree appearing and disappearing suddenly.